I love this movie so much that words fail to express how I feel. This movie was the one that not only was my gateway into horror films, but also caused a life-long love affair with classic cinema. It all started one day at the library. I was about six years old and complaining to my mother that I couldn’t find any books to read. Nothing just felt right. You know what I mean, when a book synopsis just connects to you, and you know you need to take it home to read? So my mother eager to get home, pulls a book off the shelf and suggests that I read it. Instead of paying attention to whatever novel she had in her hand, I saw the one behind it. 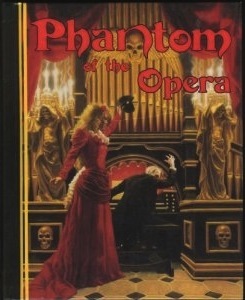 It was The Phantom of the Opera; a slender, abriged, children’s version. It became my new favorite book and I would check it out all the time, completely annoying my mother. 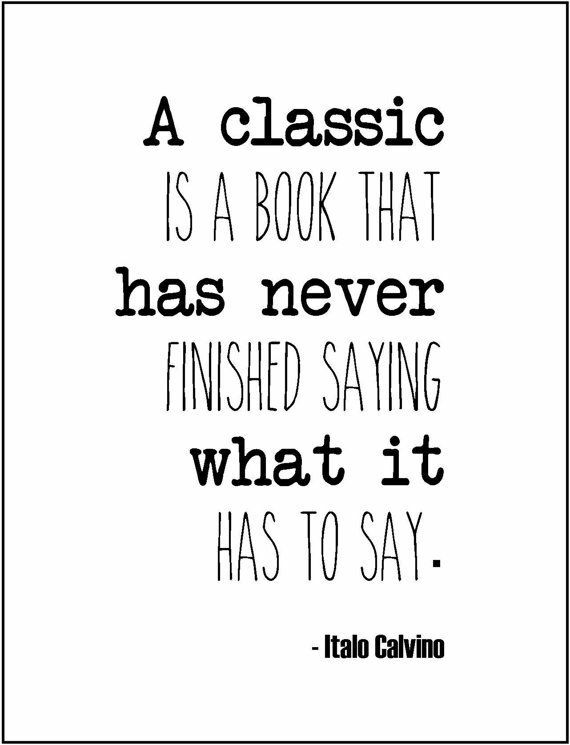 Later on I read the original, whole version; which I also love. It is written so well, if you haven’t read it yet I highly recommend it. I just connected with this poor man. He was bullied and betrayed because he was disfigured. No one paid attention to his genius in building and composing. He was living a life alone in isolation. I wanted to go underground with him. I would have gone off with him and loved him unlike Christine Daaé, she’s a total jerk and loser. Anyways, not long after I was flipping the channels and stopped on TCM. I love TCM (Turner Classic Movies) with a passion. I wish I could watch it 24/7 as they show the most amazing films ever. 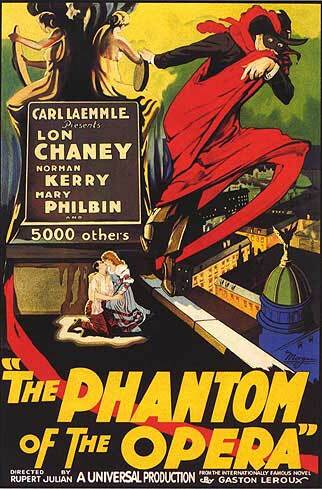 Anyways, so that day they were doing a biography on Lon Chaney, and mentioned that he played the Phantom. I was now sucked in and had to watch. The film was the biopic Man of a Thousand Faces. Lon Chaney quickly became my favorite actor as I just fell in love with what a genius he was. He used to wait outside the movie studio, using his make-up to change his apperance to better fit roles. His most famous one being of course, the Phantom. Afterwards, they held a marathon of his films, but I stopped watching as they didn’t show the one I wanted to see. 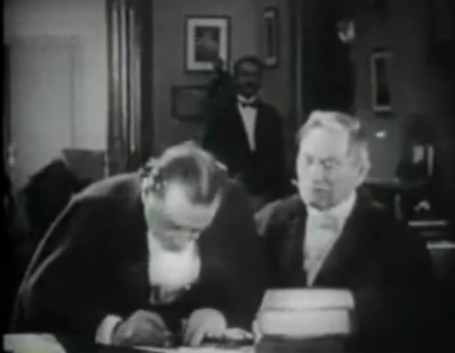 I now had to watch the 1925 film! 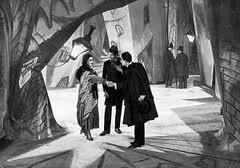 I did more research and found out that it is one of the first films to use color, only being able to for the Masque of Red Death scene. 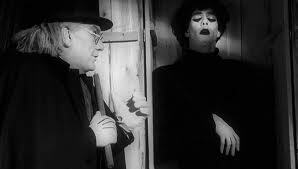 It was supposesed to be one of the most dramatic scenes in the film. I now absolutely HAD to see that film. I went and rented it, hoping that it would be as good as it sounded. It was better than that! The film was not only horrtastic, but simply, and honestly amazing! It also stayed very close to the book, making only a few changes, and doing a much better job than some other versions (the 1943 one, so bad 😦 ). 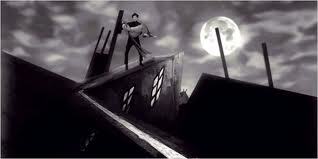 Now I know that silent film isn’t for everyone, but I suggest that you check it out. So we start off the film with someone lurking in the catacombs of the opera house. We don’t know who he is or what he is after. 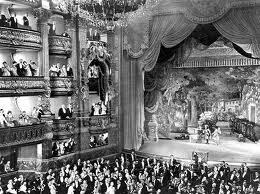 Then we switch to the opera house, and the creme de la creme of the elite milling about. Everyone is settling down as the show is about to start. We see the ballerinas on stage dancing away. Meanwhile in an office upstairs, the opera house is being turned over to new owners. Owners who know nothing of what lurks in the belly of the building. For there lies the Phantom and a friend. A Persian man that had traveled with him since the Phantom has been abroad, but no one knows more than that. So the new opera owners have gained a lot of problems with their purchase. Besides having to pay the phantom money, give him box 5, and a few other amenities; he is also demanding that they replace Carlotta with Christine, the girl he has been coaching. Needless to say, this is very upsetting for Carlotta. In fact the Phantom has threatened Carlotta if she does not stay away. Carlotta is most unhappy; and leaves declaring she will not sing that night. Instead Christine Daaé sings beautifully. She is also noticed by the stupid Vicomte de Chagny. I really dislike Raoul, Team Phantom all the way! In the book Raoul struck me as a real annoying guy. Like one who is always trying to do different things; but only does them halfheartedly, always expecting someone to bail them out of a jam. 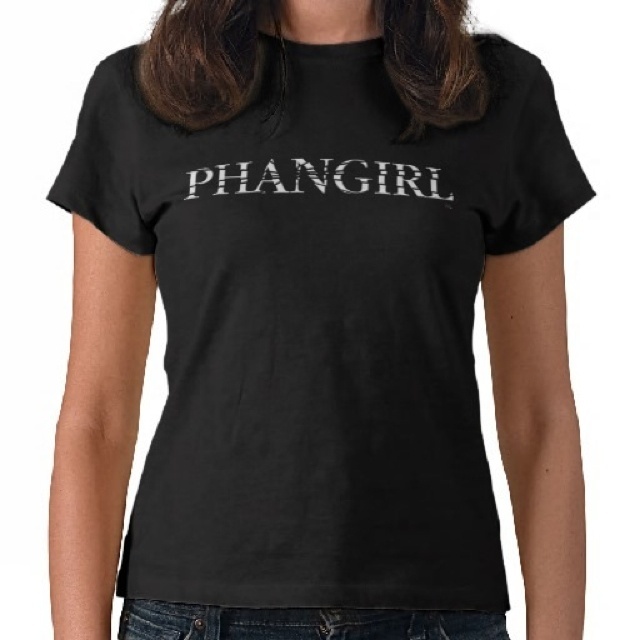 Then again I could be biased. 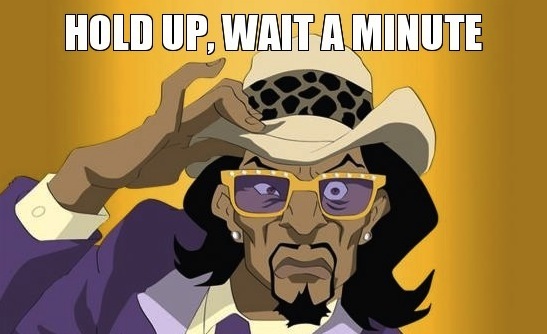 Anyways Stupid Raoul notices Christine and tries to get with her. But she is not as receptive, in fact telling him kindly to get lost as she has her career to think about. Stupid Raoul goes to leave, but actually, is secretly waiting outside her door to spy on her. Now for anyone out there; if you tell a person you want a relationship to end and they don’t listen and spy on you, you need to call the police and get rid of them. I can’t believe him. Raoul just went from stupid to stalker. I mean who listens outside their ex’s door like that? Who does that? So Carlotta decides to sing anyway, even though she has been warned that bad things will happen. The Phantom makes sure that she will never want to sing again. So Christine goes to her room and Raoul being the creep he is follows her. 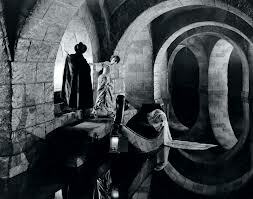 Erik, the Phantom, calls to her and tells her to go through her mirror; which is really a trapdoor. The Phantom built the Opera House, so built himself a home underneath the Opera House along with tons of secret passage ways and hideouts. The Phantom takes her to his subterranean home, across a hidden lake. Christine is amazed and kind of freaked out being there with him. All she can focus on is the fact that he is wearing a mask. Erik starts telling Christine his life story, and the sadness it has brought him. She ends up fainting, and he carries her to his guest room; beautiful and full of things she will love. It has a whole wall of shoes! 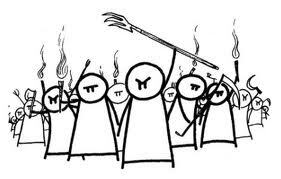 The next day everyone is in an uproar as Christine is missing! 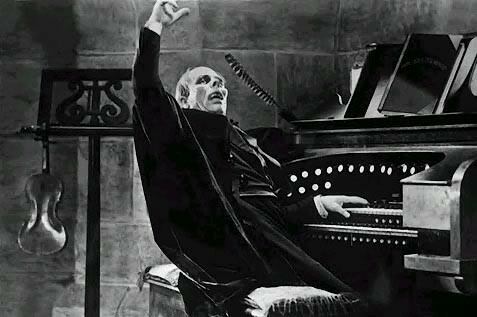 She wakes up to hearing the organ being played by the Phantom. He has been working on an opera for a long time. While he is romantically sharing his feelings, Christine is determined to rip off his mask. 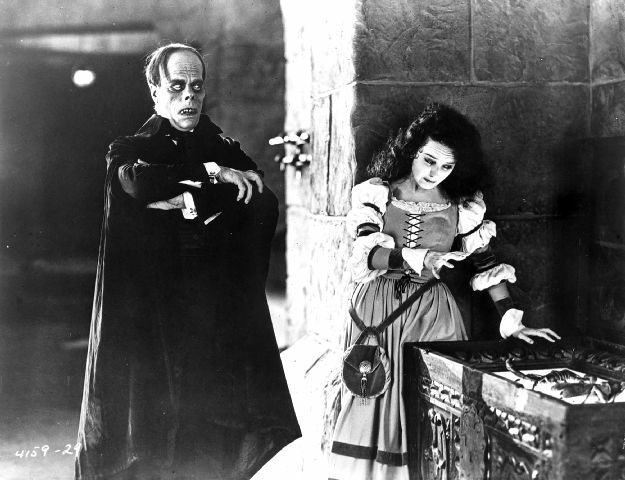 Lon Chaney is truly amazing! I mean look at him! He is so awesome looking! So creepy! He is such a genius, devising his own make-up. 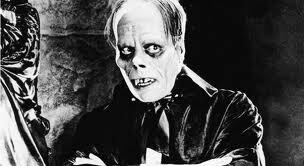 The Phantom’s makeup was designed to resemble a skull. Lon Chaney attached a strip of fish skin (a thin, translucent material) to his nostrils with spirit gum, pulled it back until he got the tilt he wanted, then attached the other end of the fish skin under his bald cap. For some shots, a wire-and-rubber device was used, and it cut into Chaney’s nose and caused a good deal of bleeding. Cheeks were built up using a combination of cotton and collodion. Ears were glued back and the rest was greasepaint shaded in the proper areas of the face. 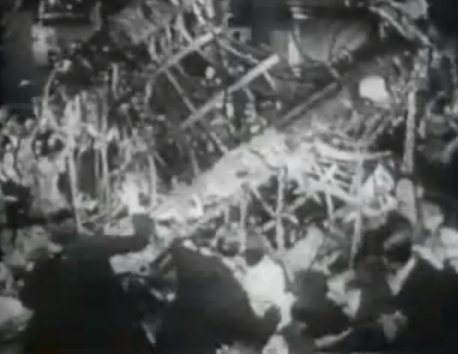 The sight was said to have caused some patrons at the premiere to faint. Christine is completely shocked at his apperance. Mary Philbin, the actress who played Christine, reaction to the unmasked Phantom was real – she had no idea what he would look like until that exact moment. Then they have the most amazing scene ever! This was one of the first films to have color! 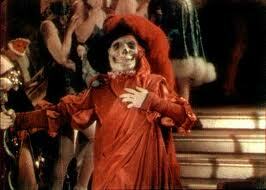 They do this huge masquerade scene in color and he comes as the Red Death! It is too fantastic for words. I cannot describe it, you will have to watch it. His entrance, his outfit, etc. Erik: Beneath your dancing feet are the tombs of tortured men! Thus does The Red Death rebuke your merriment! Christine escapes from the Phantom and sneaks off with Raoul. 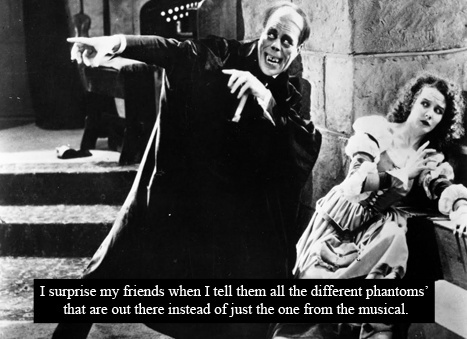 They make plans to run away together, but little do they know that the Phantom has overheard everything. Christine prepares to do her last performance, and as she is doing so, the Phantom comes and spirits her away. His only friend, a Persian courtier who has been with him through everything, goes to Raoul to lead him to Christine. 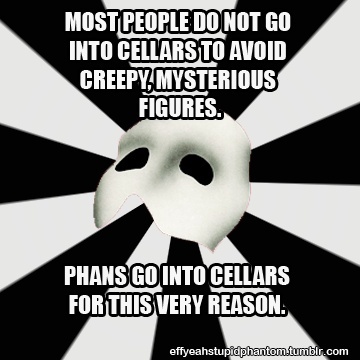 They go through the secret passage, but end up accidentally in the Phantom’s torture chamber. The Phantom gives Christine two choices; she can choose to hit this ceramic scorpion,which means that she has chosen to marry the Phantom and be his forever, or the grasshopper which means death to Raoul and the opera house. The grasshopper if pressed will light a fuse of the gunpowder that is packed throughout the opera house and interconnected. Everything will blow! The scorpion is connected to a switch that will pump water into the bottom of the opera house and soak all the gunpowder and keep the opera house from blowing up. She chooses the scorpion, but as the water starts to come up and drown Raoul. 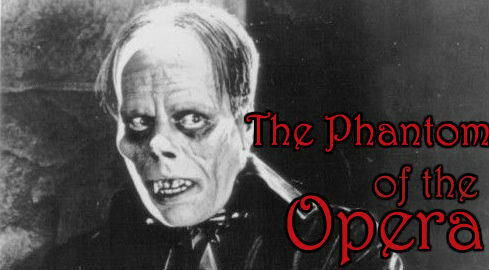 Christine asks the Phantom to save his life, that she will do anything for him if he does. He pulls Raoul out and then takes off with Christine, as the Parisians are hunting him down. The villagers follow in pursuit. As they are running, Christine throws herself out of the carriage. The Phantom goes to her, but the villagers are too close and he takes off. Raoul goes to Christine, and the Phantom is “killed” by the people. I’ve never been a fan of that idea, you can’t kill the phantom, he’s unbeatable! I love him! Is that sad and pathetic? That’s the post for today. More to come! 4 days ’till Halloween! Here’s poster I made for my cover page on facebook in honor or Halloween. Hope ya love it.